Today’s businesses are increasingly turning to the cloud for both core parts of enterprise infrastructure and quick solutions for employees’daily tasks, from campaign analysis and event planning to online surveys. As a result, data is becoming decentralized at an unprecedented rate, creating more confusion than ever before. In 2015, business’s reliance on cloud services began to hit a critical mass, which is leading to the next evolution of easy-to-use Business Intelligence solutions that provide value by connecting multiple cloud services together to aggregate and analyze the data. Analytics are necessary to make sense of the data, and self-service BI takes it a step further, making cloud data analytics available to the masses. In 2016, we expect cloud BI to break down the walls between sales and marketing, predictive analytics to be more prevalent in self-service data analysis, and more interactivity in visualizations. 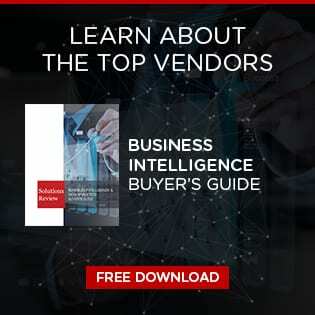 With more availability for self-service BI tools and solutions that combine cloud data, sales and marketers are gaining increased visibility across departments to improve analysis of the entire funnel from first touch to close. Combining data derived from cloud applications and visualizing the data is opening the eyes of both marketing and sales professionals to an entirely new picture of, for instance, campaigns or return on investment. Sales and marketing teams will begin to work more in tandem on reporting to effectively communicate accurate results and how they got there. Predictive Analytics have proven to be extremely valuable with regard to identifying trends and patterns through real-time data and algorithms. Predictive Analytics allow for functions like trend lines in visualizations to project trends into the future, giving an estimate on where business will be in the coming weeks or months. While predictive analysis has primarily been a function of complex and deep data analysis, we will begin to see more predictive technology being incorporated into self-service BI tools. The shortage of data sciences talent is driving analytics vendors to provide simpler tools that can appeal to business users. Interactive visualizations allow users to experience data analysis in a new and improved way, encouraging exploration of a certain dataset. Not only does it prompt discovery for the individual publishing the dataset/visualization, but also for the individuals viewing that information. They can draw their own conclusions and make their own connections. This again supports the idea of democratization of data visualization. In 2016, we are going to see an increase in interactivity features in data visualization tools. As Big Data and traditional BI continue to escalate in complexity, simpler forms of data analysis aimed at the everyday business user will grow. With so much movement to the cloud, everyone has data at their finger tips and they want to be able to make sense of the data quickly and easily. 2016 will be a year where we see self-service BI pick up steam with new and better capabilities, bringing about a more collaborative work environment among different teams. Ed Miller is CEO of DataHero and is a 25-year software entrepreneur with a track record in high growth markets and companies in their earliest stages. A serial CEO and entrepreneur, he has led several startups to successful outcomes, most recently Xythos, which was acquired by Blackboard Inc. (BBBB). He remained with Blackboard, contributing to their $1.64 billion acquisition by Providence Equity Partners. Connect with Ed on LinkedIn.